The purpose of this article is to develop a research model examining the effects on relationship quality of a cloud service and to investigate the continuance intention of SaaS CRM (Software as a Service Customer Relationship Management) based on SaaS cloud service quality of service (SaaS-Qual) model. As basis theories, the study adopted service quality of SaaS and a post-acceptance model of IS continuance. The study also adds a relationship of quality as a moderate variance to validate the feasibility of cloud service. An online survey and a paper-questionnaire were used to collect data, and most respondents were experienced with using SaaS service for CRM for at least one year. The research causal model was validated by using SEM, and all eight study hypotheses were supported. These results indicate that relationship quality played an important role in influencing users' satisfaction and trust of SaaS's CRM service. High SaaS service quality could also increase users' intention to use cloud service continuously. SaaS CRM service providers should focus on enhancing relationship quality through motivational cloud service needs and SaaS CRM service features to increase user satisfaction and enhance levels of trust to promote continued use of SaaS service on the internet. 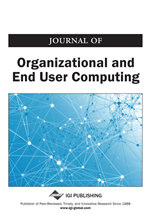 This study contributes to a theoretical understanding of how relationship quality and cloud service can affect continuance intention. In the past year, cloud computing has become an increasingly popular technology in every industry. Many organizations have also used emerging IT to develop cloud services for managing daily operations. For example, many corporations such as ASPs (Application Service Providers) have started to use cloud computing to provide information service for their customers. Many SaaS (software as a service) have been invented and also provide specific intentions for enterprises. Most of them are using the service concept to develop, serve, and deliver their product or service. Hence, cloud services have gradually been adopted and attracted attention by the industry and to develop service concept via internet and information technology (Sun, Zhang, Chen, Zhang, & Liang, 2007). In the past, many organizations purchased software suit or developed information applications by vendor or employee to fulfill internal operations requirements. These methods, however, require costly resources like obtaining a software license. In response, many SaaS vendors began to provide a rental service model to provide information services according to the organization’s actual needs. This transformation not only reduced the organization’s expenses, but also enhanced the agility of information department. The change of organization is to have stable cost and easy to predict the IT requirement. It also can significantly reduce the business processes of organization (Cherry Tree, 2000; Kern, 2002; Walsh, 2003). Therefore, organizations or corporations are able to use cloud services to operate business processes more efficiently and reserve more resources toward developing other tasks. For the SaaS model in Taiwan, corporations can reduce hardware, software, and operation costs upon using SaaS applications. Corporations can then concentrate on strategic development to match its business plan. SaaS can not only be used by small and medium enterprises (SMEs) in Taiwan, but also many large-scale manufacturing corporations. Results suggest that SaaS can truly bring benefits for corporations; consequently, the SaaS model has attracted more attention from industries in Taiwan (MIC, 2015). In order to face the challenges of globalization and competition, many customers would like to use cloud services through the Internet at lower cost. Most customers believe that a single mouse click will lead to the loss of a service provider to another (LaRow, 2000). For an organization, the cost of acquiring a new customer is the five times the cost of retaining an existing customer (Forum Corporation, 1989). With the increasingly fierce competitive market, organizations hope to efficiently improve its competitive advantage, preserve and manage existing customer relationships, and increase customer loyalty for long-term relationships. Many organizations are beginning to realize the importance of customer relationship management (CRM). Consequently, they have started to adopt better customer relationship management strategies that can compete with others in the industry, increased customer satisfaction to retain enterprise’s customers and consolidated existing enterprise revenue (Caldwell, 2000). The enterprises need to provide customized services for their specific customer, forecast customer needs and provide further services for their customers in the future (Payne, 2005).